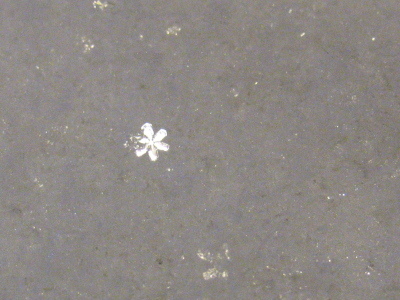 I find it quite startling that, in my 30 years of existence, I've never actually seen a real snowflake before. 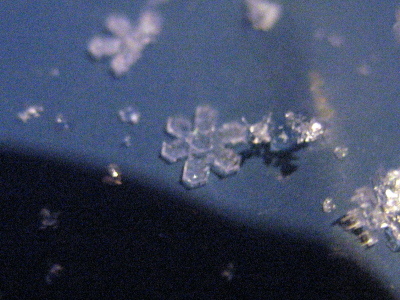 In the midst of the winter storm we're getting here in Washington, I saw these little things falling from the sky and landing on me and decided to take some pictures. For reference, those were about 3mm across. Real snowflakes. I had no idea that they actually existed. 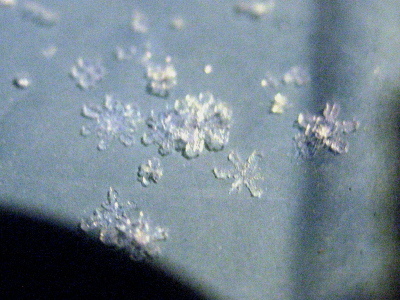 It's also strange that real snowflakes look too perfect to be real. NO WAY!!! I've never seen that either! HA! Awesome! You guys should really get out more often. LOL Snowflakes are beautiful, and bittersweet. We celebrated Christmas today with Brenda's family in Mount Vernon, and enjoyed the massive amounts of snowflakes that were consuming the I-5 corridor on the way home. I've never had new windshield wipers crap out on me before tonight, boy what an experience tonights trip was. Thankfully we made it.